Ayer, MA – Nashoba Valley Medical Center (NVMC) and Steward Medical Group recently announced the addition of Cardiologist Sarosh Janjua, MD to the medical staff. Dr. Janjua specializes in cardiovascular diseases with a focus on stress testing, preventative cardiology, and heart disease in women. 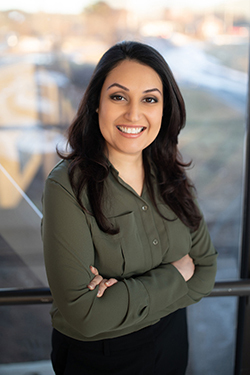 Dr. Janjua earned her medical degree from Aga Khan University in Karachi, Pakistan, after which she completed a residency in internal medicine at St. Elizabeth’s Medical Center in Brighton, Massachusetts, followed by a cardiovascular disease fellowship at Lahey Clinic in Burlington, Massachusetts. Prior to joining Nashoba Valley Medical Center, she worked at St. Vincent Healthcare in Billings, Montana. In addition to English, Dr. Janua is fluent in Hindi, Urdu and Punjabi. Dr. Janjua joins the SMG Nashoba Cardiology practice, which is located at 190 Groton Road, Suite 110 in Ayer, Massachusetts. She is accepting new patients. To schedule an appointment, please call 978-784-9425.